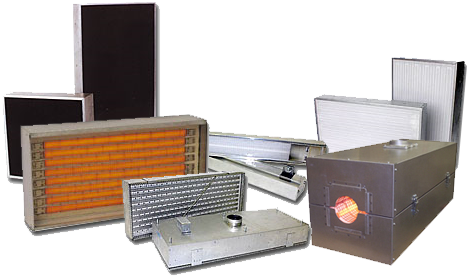 PROTHERM, LLC is a leading manufacturer of electric infrared heaters, also called IR or radiant heaters, for industrial process heating applications. As a service to our customers, Protherm, LLC also offers the design and manufacture of custom controls, frameworks, and complete oven systems to complement the heaters. All of our infrared heaters and ovens are custom built for each application, but are available and priced as if they were stock items. Deliveries are top rated in the industry, typically 2 weeks or less for heaters and typically about 8 weeks for a complete system. We build high quality, energy efficient infrared heaters for world wide manufactures of all sizes, systems integrators, and distributors, as well as private label for many OEMs and resellers. All heaters and equipment are completely manufactured by PROTHERM, LLC to assure you of the best prices, highest quality, and fast service. With recent �green� initiatives and government mandates to reduce manufacturing greenhouse gasses and carbon footprints, PROTHERM, LLC electric infrared equipment is the ideal choice to eliminate emissions and utilize a clean, highest efficiency heat source. Let our friendly experienced staff assist you in selection the best heating solution for you process. Call us at 1-800-793-2077 or 320-834-3370 to discuss your application today.